The Indian Women’s Hockey Team will start 2019 with a friendly tour to Spain and Ireland. Rani Rampal is the captain and goalkeeper Savitha is the Vice captain of team. The Indian team will play four matches against Spain between 26 January to 31 January followed by two matches against Ireland on 2 and 3 February. 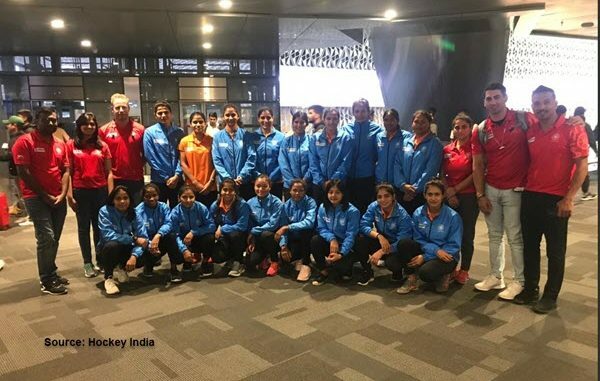 The tour helps Indian women up team preparation for Hockey Series finals in June in Hiroshima, Japan where Indians must finish in top two to enter final qualification round of 2010 Olympics. In 11 matches, Indian Women have won 5, lost 3 and drawn 3 against Spain. Ireland stopped Indian women from making history when the 16th ranked team won World Cup 2018 Quarterfinal in tiebreak.